The Fern Bluff neighborhood is located in Round Rock off of Great Oaks Dr. and Brightwater Blvd. Fern Bluff is very convenient to local shopping such as IKEA, Round Rock Outlet Mall, and several major medical centers including St. David's Round Rock Medical Center. 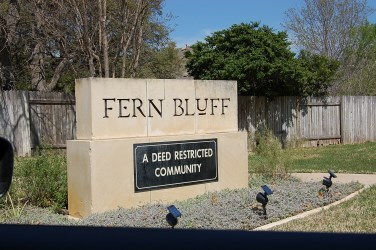 Fern Bluff has large established trees and landscapes, and is also near Brushy Creek Park which has an extensive trails sytem, tennis courts, swimming pool. Round Rock is also the home of the AAA Round Rock Express baseball team, an affiliate of the Texas Rangers. 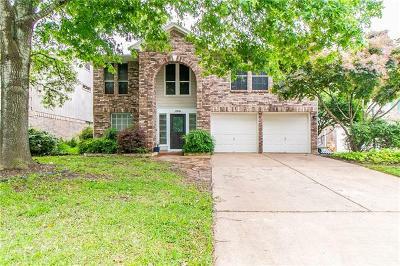 Homes for sale in Fern Bluff in Round Rock are typically priced from the high $100’s-high $200’s.